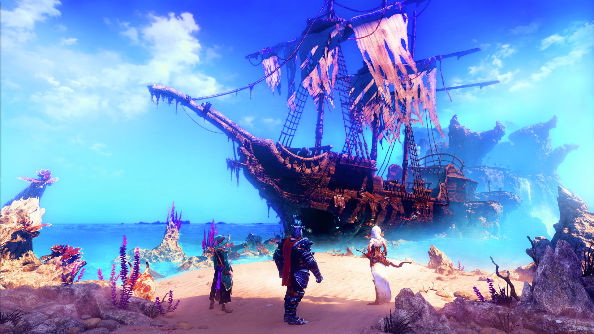 This month saw Trine 3: The Artifacts of Power exit Early Access, and its promotion to full-game status brought with it a slew of negative reactions. There are almost 200 negative Steam Reviews for the game, with the majority criticising the game’s short length of around 4 hours. The backlash has seen developer Frozenbyte issue an apology on Steam, explaining how over-ambition and budget restraints kept the game short, and stating that the future of the Trine series is now in question. Kinnunen emphasises the short length – which he states as being “generally around 6-7 hours” – was not done in order to make money off further DLC. In fact, DLC is not planned. The cliffhanger story ending “is a different matter”, but will not be concluded with DLC. “The future of the series is now in question, as the feedback, user reviews and poor media attention has caught us by surprise,” he added.